Michael Freeling is a partner at Bloom & Freeling. Michael works alongside individuals, lenders, businesses, Property Management Companies, Real Estate Brokerages, Buyers and Sellers of all different sizes. Michael specializes in real estate law and corporate law and is known for his detail, team building and quarterbacking a deal from start to finish like no other. As a premier real estate lawyer, Michael has a wide network to assist his clients in successfully completing both commercial and residential transactions. Michael’s follow up and attention to detail is primary to his reputation. He offers smart and creative advice in looking out for his client’s interests long term. Michael is considered a thorough executer. His attention to detail and resourceful network of business and professional contacts provide a tactical and strategic advantage when working on a case or project for a client. Michael graduated from The American University in Washington, DC in 1989 with a B.A. in Communications, Legal Institutions, Economics and Government Studies; graduating with Honors from the School of Public Affairs. While at American, he was the President of Alpha Epsilon Pi Fraternity, Sigma Pi Chapter. He was also a member of the Pre-Law Honor Society. After graduating from American University, he attended Hofstra University School of Law in Hempstead, New York, graduating with his J.D. Degree in 1992. After law school, he practiced with the Rochester, New York law firm of Mayberry, Licht, Goldman and Leone through 1995, in the areas of Construction Law and Commercial Litigation. Thereafter, he worked on the New York State Gubernatorial Campaign of the Hon. Richard M. Rosenbaum, where he was recruited by the now Hon. Matthew Rosenbaum, current Supreme Court Justice in Rochester, New York, to join the firm of Gray, Feldman & Rosenbaum. While at that firm, he served as a Registered Lobbyist in the State of New York, a member of the Judicial Nominating Commission, specialized in Legislative Practice, Insurance Defense, Commercial Litigation and Real Estate representing such clients as the New York State Insurance Fund, Leaseway Motorcar Transport, a Penske Company and Citibank, N.A. In June of 1998, Michael moved to South Florida, where he served as an in house counsel with the Legal Department of Extended Stay America Hotels in Fort Lauderdale, Florida. He assisted in the management of the Construction Litigation Department of ESA’s network of 400 hotels around the United States. In addition to being licensed by the Florida Bar in 1994, Michael also maintains Bar licenses in New York (1993) and The District of Columbia (1994). 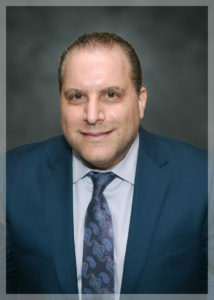 Michael is very involved in the South Florida community and is known by many to be an extremely connected networker. He is a Past Chair of the Boca Chamber of Commerce Leads Group 2, as well as being an active member of the Chamber for over a decade. He is also active in the Alpha Epsilon Pi Alumni Network. In addition, he has vice chaired and chaired the ADL’s Glass Leadership Institute, assisted in recruitment for the program. He serves on the Florida Executive Committee, ADL Regional Board, Professional Advisory Committee and has just completed 5 dedicated years of chairing the Law Enforcement Committee for the ADL’s Florida Region whose members include legal professionals, former prosecutors, criminal defense attorneys, county sheriffs and others as well as working in conjunction with the State Attorney for Palm Beach County. He now is an advisor to the Committee. Graduated from Hofstra School of Law, Hempstead, NY with J.D. Current Chair of ADL Florida Leadership and ADL National Commissioner. Serves on the Anti-Defamation League Regional Board, Professional Advisory Committee, and Executive Committee.